John Brown (d 1483) was a regent at the University who was Principal from 1480 to 1482. He was elected Rector in 1482 and remained in office until his death in June the following year. He left many of his books to the University in his will. 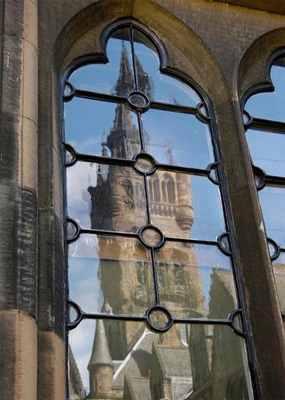 Brown was born in Irvine and is believed to be the first Principal of the University to have been born in the West of Scotland. He studied at the University: he was licensed in Arts in 1473, and he subsequently became a Bachelor of Decreets. He was a Canon of Glasgow and the Prebend of Kirkbean.